The removal of Exchange 2007 from our organization is fairly straightforward, but must be approached in a logical order to ensure success and minimal issues. 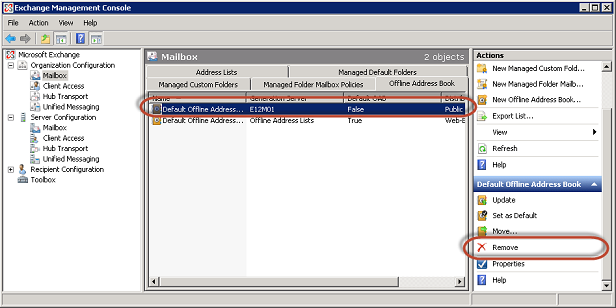 Therefore we'll remove some Exchange components like unused Offline Address Books, Databases and Storage Groups before uninstalling Exchange 2007 itself. As shown above, we'll be provided with the opportunity to confirm that we do indeed wish to remove the storage groups shown. 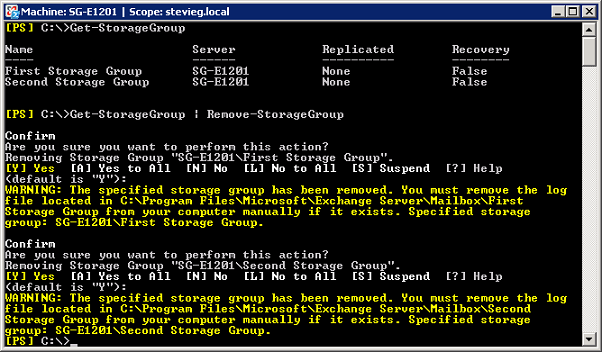 As with removing a Database, we won't be able to remove a Storage Group if it has contents (i.e. 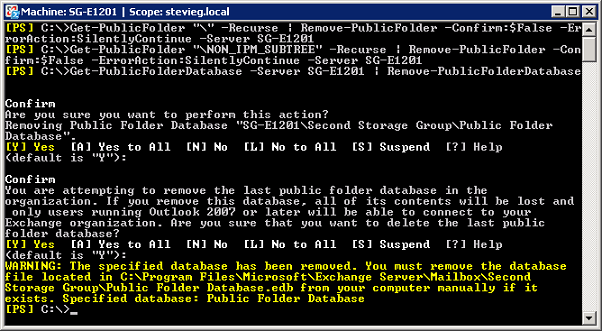 a Database), so if you haven't removed all relevant Databases the command will fail. 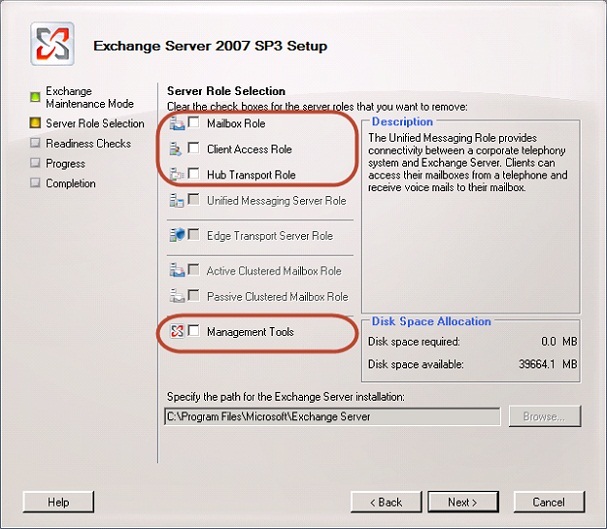 After choosing Uninstall we'll expect the setup program to continue with removal of Exchange 2007. After it completes successfully we'll be done from an Exchange Server point of view and can if required remove the Windows Server from the domain safely. 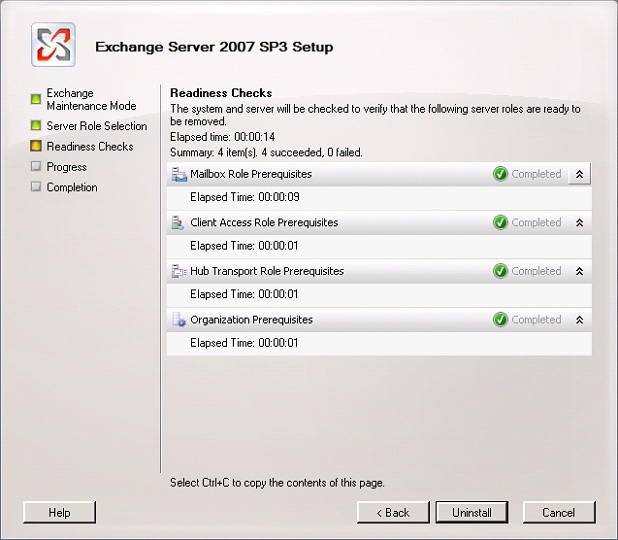 Now you’ve completed your upgrade to Exchange 2013 you should find that the ongoing maintenance required is at least as little, if not less, than Exchange 2007. Reliability improvements mean that most failures will be picked up by the managed availability service and automatically corrected for you. We performed extensive work to understand the sizing requirements for our environment before we implemented Exchange 2013, however this doesn’t mean you can discount regular checks of free disk space. 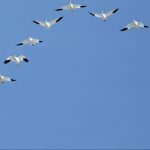 For example if we designed our Exchange environment to cope with 7 days without backups, then as day 8 passes we would without successful backups expect the drives housing our Log files to fill up – a truly disastrous situation. 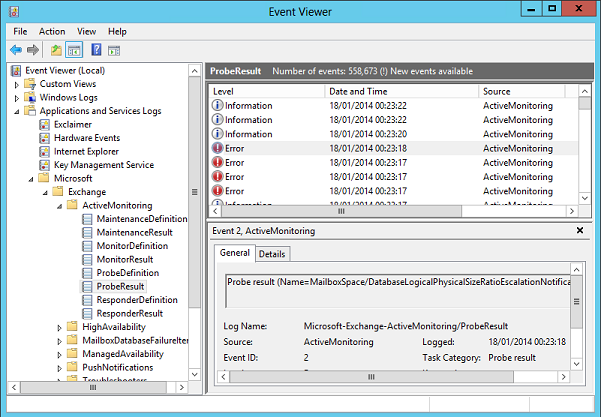 Monitor both the current usage and trending growth over time of both your system drives, and your Exchange data drives. 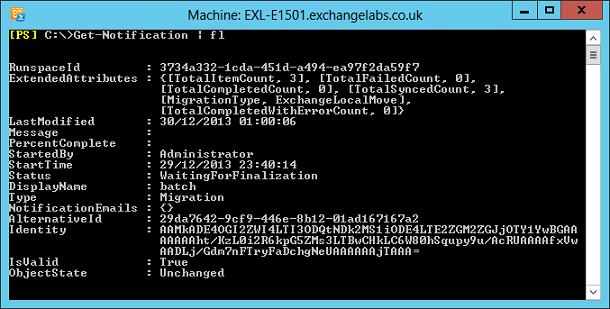 In this series we’ve planned, implemented and migrated from Exchange 2007 to Exchange 2013. Hopefully through this series you’ve learnt a bit more about Exchange and if you’ve just finished implementing Exchange 2013, we hope we’ve helped make your project a success.